It’s time to bring your game! The ISLAND PACIFIC ACADEMY March Madness Annual Fund Challenge is from March 15 - 30, 2019. A single gift – any size – to the Annual Fund ensures IPA the ability to attract first-rate faculty, provides vital tuition assistance for families in need, and provides students with the latest relevant learning tools. As Alumni, and parents of Alumni, you know the value of an ISLAND PACIFIC ACADEMY education where students are always becoming their best! ISLAND PACIFIC ACADEMY's Annual Fund is $30,000 away from reaching its goal. When everyone participates, it creates a shared investment and support for the mission of IPA, and our school community. Our Board of Trustees, Faculty, and Staff have all contributed to reach 100% participation. Current families at IPA significantly increased their participation and raised nearly $40,000 in two weeks. Let’s rally and help so we can continue the tradition where students can develop a strong foundation where values matter, and can go forward with confidence! I Mua Me Ka Haʻaheo! Make a gift today, and score BIG for IPA! WHY DO IPA FAMILIES GIVE TO ANNUAL FUND? 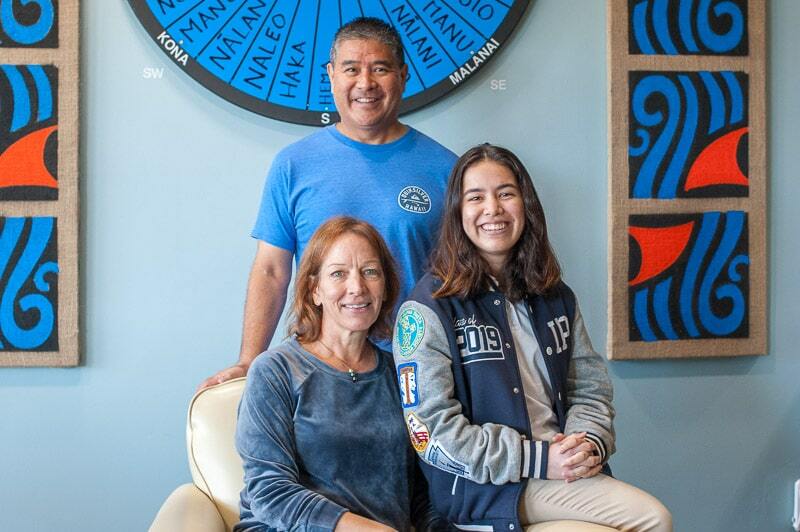 Hear from the Nakamura ʻohana (Haley '19) about why giving to the Annual Fund is important to them. Mahalo to our Alumni March Madness Annual Fund campaign Parent Chair and Alumni Co-Chairs! The annual fund covers the gap between tuition and the actual cost of educating a student at ISLAND PACIFIC ACADEMY. Tuition covers about 83% of our expenses. The balance of our needed income comes from other sources, including the annual fund, which provides the largest source of that income. Why doesn't tuition cover the full cost for each student? To cover the actual cost of educating a student would require a significant tuition increase. 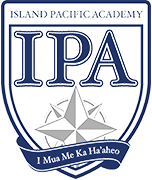 Like other private schools, ISLAND PACIFIC ACADEMY generates its funding from a variety of sources. These include tuition, private grants, and fundraising from parents, alumni, and other community members. 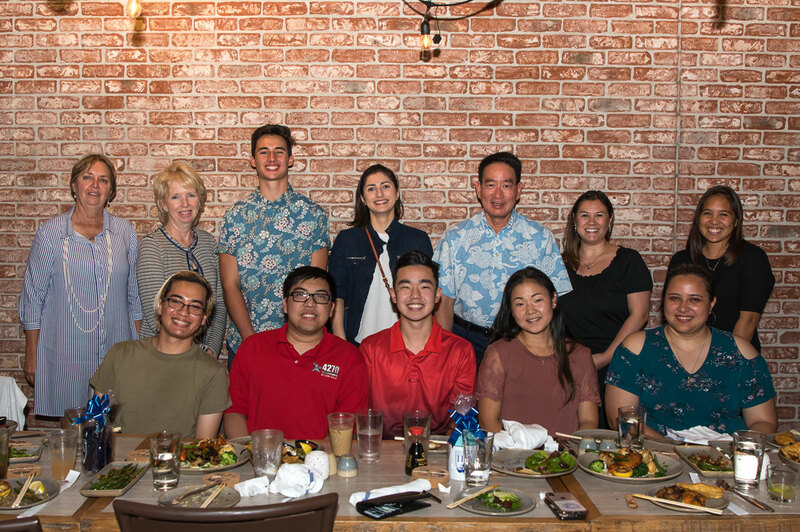 Tax-deductible donations to The ISLAND PACIFIC ACADEMY Annual Fund directly offset the current year’s operating budget, thus reducing each student’s annual tuition cost and encouraging a diverse student body. How is the Goal for Annual Fund Determined? Based on enrollment and budget, the “gap” determines our annual fund goal after taking into account all of our sources of revenue. Enrollment and tuition revenue goals determine the potential operating costs for the new school year. Once school begins, actual enrollment and tuition revenue plus an estimate of other income establishes the expected revenues. This budget process sets our goal for the annual fund to bridge the gap between expected revenues and budgeted operating costs. On average, ISLAND PACIFIC ACADEMY parents contribute $300 ($25 a month) to the annual fund each year. Annual fund gifts range from $25 up to our Wayfinders level gifts of $10,000 and above. If everyone gives as they are able, we can always reach our goal. Yes! ISLAND PACIFIC ACADEMY needs your participation. While the dollar goal is very important to meeting the annual budget, high participation rates (at any level) help IPA receive foundation grants for capital campaings. High participation signals institutional strength and school pride. It also means that more individuals are sharing the financial responsibility to support the school. No matter what amount you give, we always strive for 100% participation from our families, faculty and staff, and board of trustees because it shows all of our IPA community supports the school. You can make your gift by submitting the IPA Annual Fund Form or you can make your pledge or gift by credit card online on the Giving page of our website. Many employers have matching gift programs which will match your gift with company funds. The ISLAND PACIFIC ACADEMY Annual Fund qualifies for these matches as an educational institution. Check with your employer or call in the Advancement Office at 808-674-3523 to see if your company participates in this program. Yes. ISLAND PACIFIC ACADEMY is a 501(c) 3 not-for profit organization and all gifts are tax-deductible. What is IPA's Tax ID Number? IPA’s tax identification number is 68-0534162. Gifts to the ISLAND PACIFIC ACADEMY Annual Fund can help provide, Technology, Field Trips, Playtime & Physical Education, Health & Safety, Professional Development, Science and Technology & Design and Art Programs. While the ISLAND PACIFIC ACADEMY Annual Fund accepts gifts throughout the year, your early gift or pledge reduces the cost of mailings and helps the school with its budgeting and cash flow. We ask families to indicate their commitment by December 31. Payment on annual fund pledges is due by the end of the school year, June 30. You will be contacted as often as necessary to secure your participation. In addition to the financial goal, there is also a goal of 100% parent participation. This helps us greatly when we make foundation grant requests. The IPA Annual Fund is staffed with volunteer parents and grandparents, so the best gift you can make is an early commitment and prompt payment.